But seriously, Sara is not only a New York Times bestselling writer, she’s also a completely down-to-earth person who knits hats, snuggles dogs and plants flowers in her spare time. And we’re thrilled that she agreed to come on The Ball for the launch of AT THE WATER’S EDGE, her latest novel. 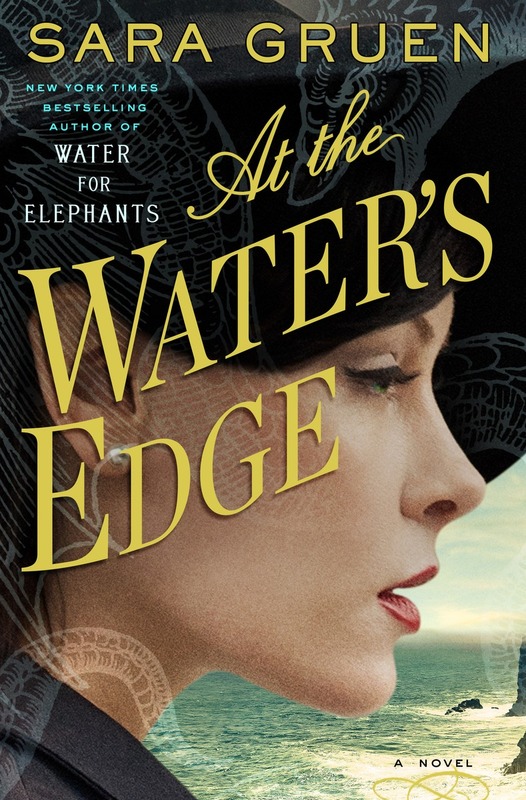 AT THE WATER’S EDGE is your first historical fiction since WATER FOR ELEPHANTS— why did you return to the genre, and what was the inspiration for the book? It’s funny, but I don’t think in terms of genre when I’m writing, so the fact that AT THE WATER’S EDGE ended up being historical fiction is coincidence. I chose the setting first, and the era revealed itself to me later when I was in the Highlands on my first research trip. One of your main characters Ellis, goes on a hunt for the Loch Ness monster. Why did you include this great legend in your book? I have been fascinated by the Loch Ness monster since I was twelve when I first visited Scotland, and a few years ago my interest was sparked again by a random news story. I was between books, and after spending the afternoon down a Nessie rabbit hole I realized that the unlikely mixture of pragmatism and superstition in Scottish made it the perfect setting. Adding the war and the monster to the mix increased the potential for volatility in an “anything can happen” kind of way, which is an author’s dream—at least this author’s! I would be a tequila sunrise, because I like tequila and in theory I like sunrise. Finally, it was just announced that WATER FOR ELEPHANTS is going to be on Broadway! Congratulations! How much input will you have in the show and what’s your biggest hope or fear for the on-stage adaptation? I am super excited about the musical adaptation of WATER FOR ELEPHANTS, particularly because they’re going to let me participate. I know nothing about musicals, but I am going to make like a sponge and absorb everything and hope I get up to speed in time to be useful. And if I can’t be useful, I’ll certainly enjoy the ride! GIVEAWAY: Comment on this post by Noon (EST) on Friday, April 10th to win a copy of AT THE WATER’S EDGE! Follow The Debutante Ball on Facebook and Twitter for extra entries—just mention that you did so in your comments. We’ll choose and contact the winner on Friday. Good luck! 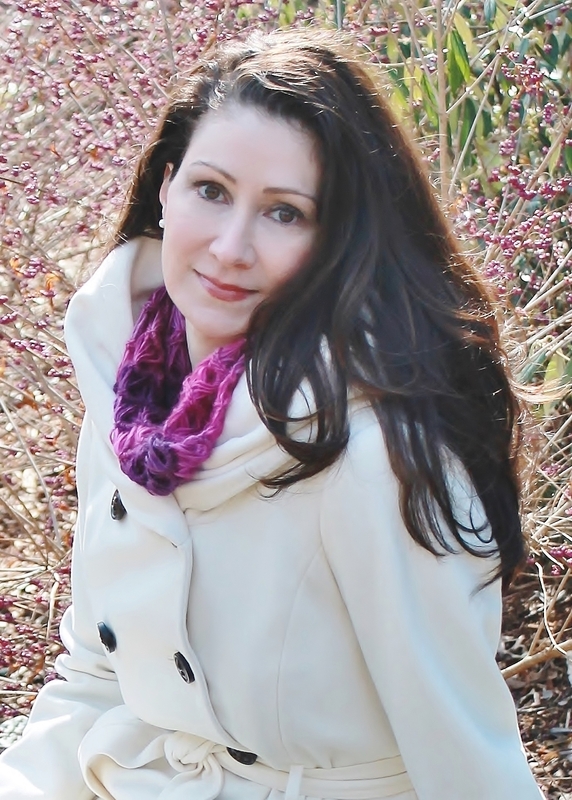 Colleen Oakley is the author of BEFORE I GO (Simon & Schuster/Gallery, Jan. 2015), a love story. A former editor for Marie Claire and Women's Health & Fitness, she's now an Atlanta-based freelance writer. Find out more at colleenoakley.com. I’m so excited about this book – it sounds terrific! A musical version of Water for Elephants is exciting news too. Thanks for the giveaway. I followed y’all on FB and Twitter. I LOVED Water For Elephants! I can’t wait to see how this book is! Always love reading books by amazing Authors!! I found out about the contest because I follow on FB…and I am really intrigued by the premise of this book. Congratulations on your new book Sara Gruen and on “Water for Elephants” going to broadway. I just have to ask, have you never liked chocolate? I loved “Water for Elephants”. I read it in my book club. Every December, we vote on the best book we read during the year. The year we read “Water for Elephants,” it won. Congratulations on the new book and the Broadway show. I loved Water For Elephants and would love to read this book too. What a captivating and wonderful novel. Thanks for this great giveaway. Congratulations and best wishes. A very interesting interview and fascinating historical which sounds memorable. I loved Water for Elephants, can’t wait to read this book! I really enjoyed WATER FOR ELEPHANTS and am looking forward to Sara’s latest. Sounds fabulous. Thanks for the chance to win a copy. Oh, and I do follow on FB and Twitter. would love to read this new book. Thanks for the chance to win. I think this book sounds wonderful and thank you for the giveaway. I am following on face book and twitter as soon as I leave this screen. Loved reading Water for Elephants! Can’t wait to read your newest!